Why are we taking this action? UCU has been engaged in talks with Management since the start of the academic year but no significant progress has been made on any of these issues. On the issue of redundancies, ACAS (the arbitration and conciliation service) has offered to broker talks to break the deadlock. UCU has indicated that we are willing to engage in such a process, but University management have rejected the ACAS offer. Furthermore, it was revealed yesterday that none of the proposed ‘new’ posts (which Management made so much of when announcing the job cuts) will be available to ‘at risk’ colleagues as redeployment opportunities. We also have evidence that members are being pressurised into taking ‘voluntary’ redundancy (VR), despite the fact that Management have stated that no-one should be pressurised into taking VR and that only those who ‘genuinely wish to leave the institution’ should apply for VR. Of course we know that there are colleagues who wish to avail themselves of VR but cannot do so because Management has limited the scheme only to those ‘at risk’. UCU has consistently argued for an institution-wide scheme which allows such colleagues to take VR and thus open up potential redeployment opportunities for ‘at risk’ colleagues (known as ‘bumping’, widely practiced as a way of avoiding compulsory redundancies). UCU had hoped that the substantial vote for strike action in the recent ballot would encourage Management to engage in serious negotiations to resolve the dispute. Unfortunately this has not been the case. UCU is therefore calling for this robust strike action in order to send out the signal that the union is serious about defending jobs and defending our national contractual agreements. Only by building on the mandate given by our members can we achieve our goals of halting the threat to jobs and preserving our contractual agreements. Of course we hope it will not be necessary to engage in a prolonged campaign of industrial action, and the strategy the Branch Committee has devised allows Management ample opportunity to settle the dispute, but unless significant progress is made on all three issues the campaign will continue. Obviously students are affected when we take industrial action. Contrary to the misinformation spread by University Senior Management, we do not take action to damage our students’ education; on the contrary, as those of us who have dedicated our professional lives to the success of our students, both present and future, we are seeking to defend quality higher education from the immediate and longer-term damaging effects of a reduced (and consequently overworked) and de-skilled academic workforce and from the effects of an increasingly ‘managerialist’ culture in HE . Surely it is in the interests of our students that academic quality not be sacrificed for managerial imperatives; that students are taught by staff who genuinely feel their work is valued and who are not fearful of being discarded in the name of ‘workforce planning’ based on a spurious rationale? And is it right that the University should continue to gamble its assets on loss-making and highly risky overseas ventures instead of focussing on the needs of students here in Preston who are paying £9 a year? I invite you to agree with me that it is not. As always, I am happy to meet to discuss further. In the meantime I urge you to stand up and support your lecturers in their defence of high quality public higher education. 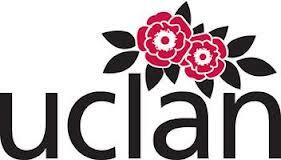 Petition: Please sign the petition “UCLan: Let our lecturers keep their jobs!” if you agree that the very real intellectual foundations of our university are our cherished academic staff. Posted on March 4, 2014, in Psychology and tagged academic, cuts, lecture, Psychology, Redundancy, research, uclan, University of Central Lancashire. Bookmark the permalink. Leave a comment.